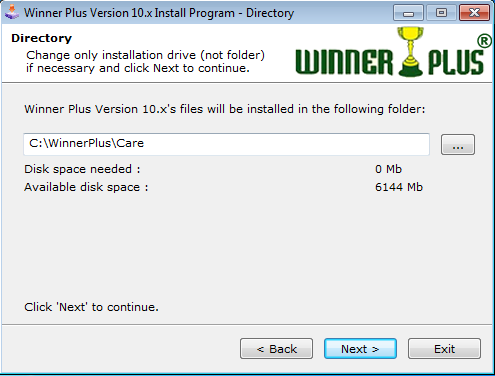 Follow these one-time instructions to getting started using Winner+ software on your windows desktop/laptop. 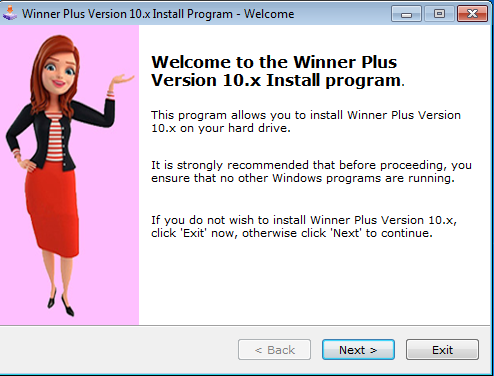 After successfully downloading WinnerPlusSetup.exe right-click on file and select Run As Administrator. 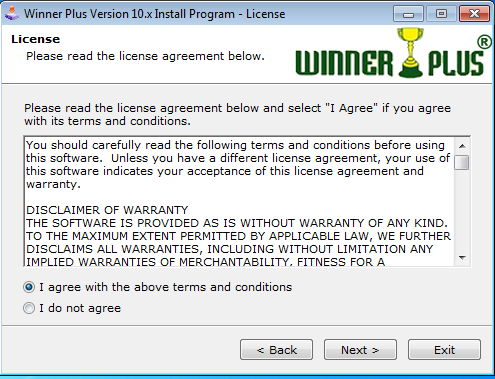 Select I agree option & click on Next button. 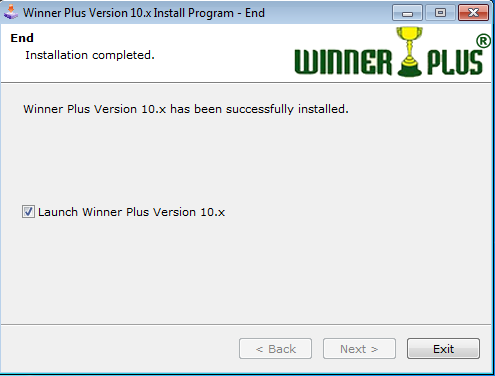 Change installation drive letter only if necessary & click on Next button. A new short-cut will be created on desktop and log-in screen will appear. Click on Log-In button. For User Name Admin Password Admin is already entered. 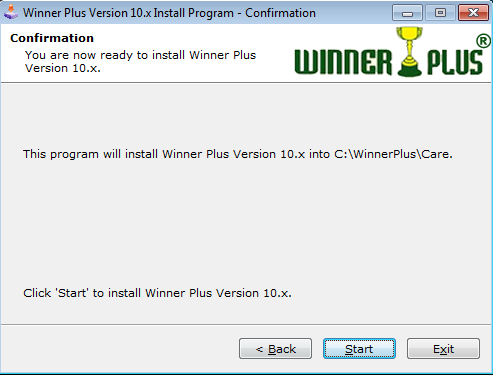 If you are using winner+ first time on this computer Winner+ Online Account form will appear. 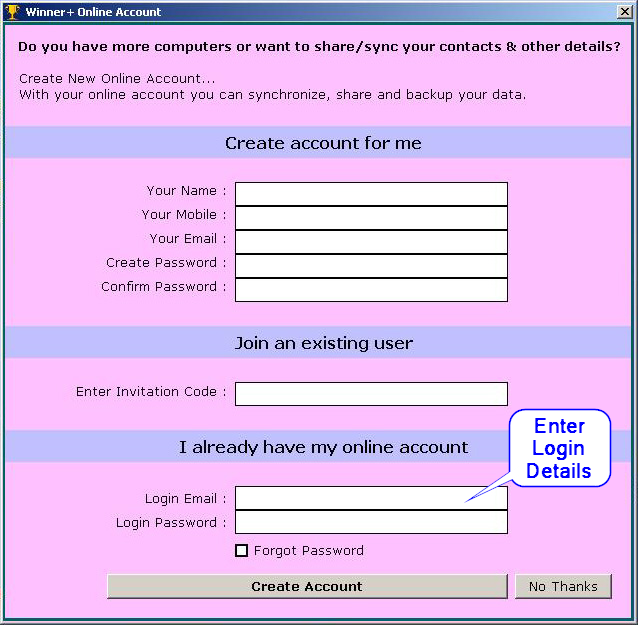 If you have already created online account for using mobile app or on old computer, just enter log-in details & press enter key. 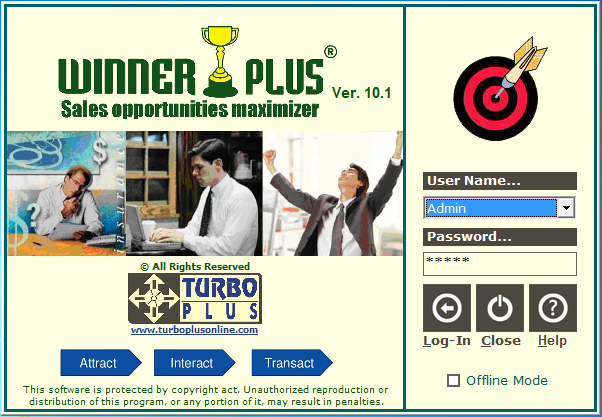 Otherwise fill all details in Create account for me section & press enter key. You can Share your all or selected files with another user. 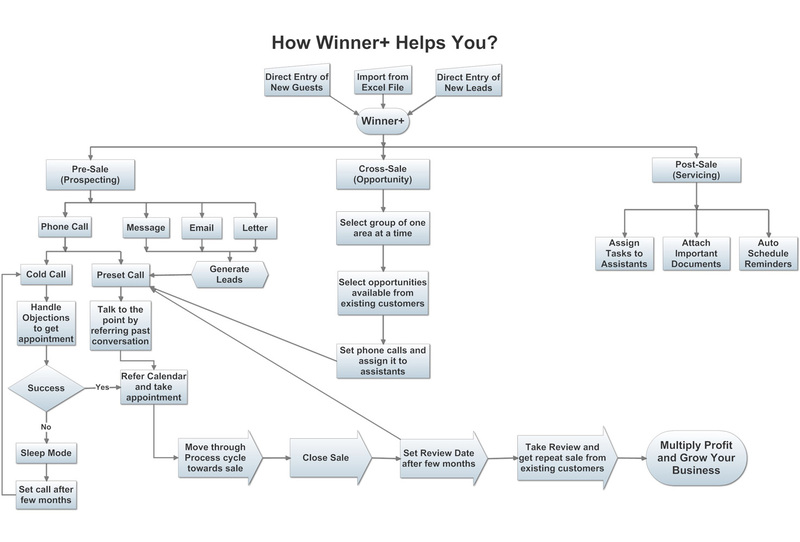 Add new user by entering name & email address. 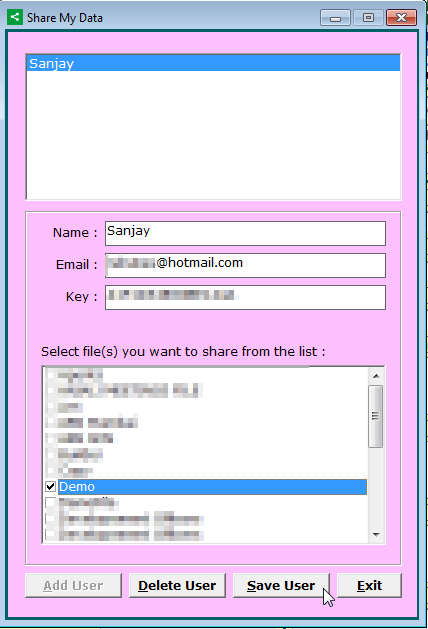 Then tick/select the files which you want to share with that user. Now click on Save User button. An Invitation Code will be sent to another user on his email address. He just have to enter that code in Online Account form while first log-in on his computer. Then he has to open shared file & sync it. When you click Close button on Home Screen it will prompt for minimise or close. 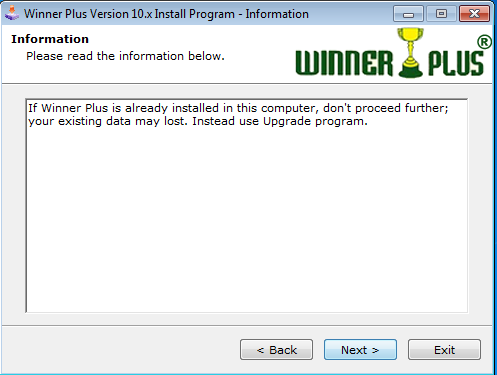 If you select Minimise option you will continue to get reminder pop-ups if any. 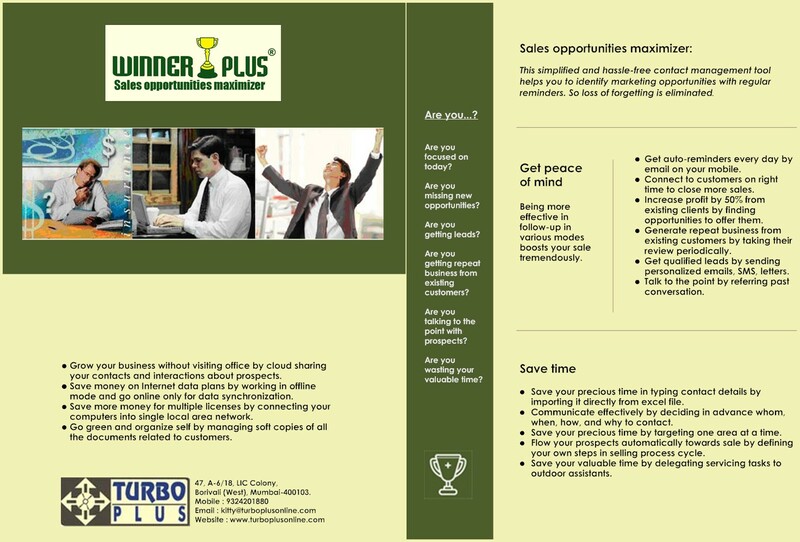 Otherwise software will prompt for Sync and after syncing auto-backup will be taken in WinnerPlus folder. 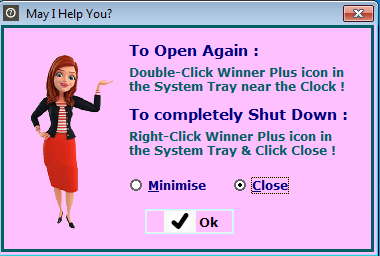 You can not shut down your computer if winner+ is minimized to system tray.